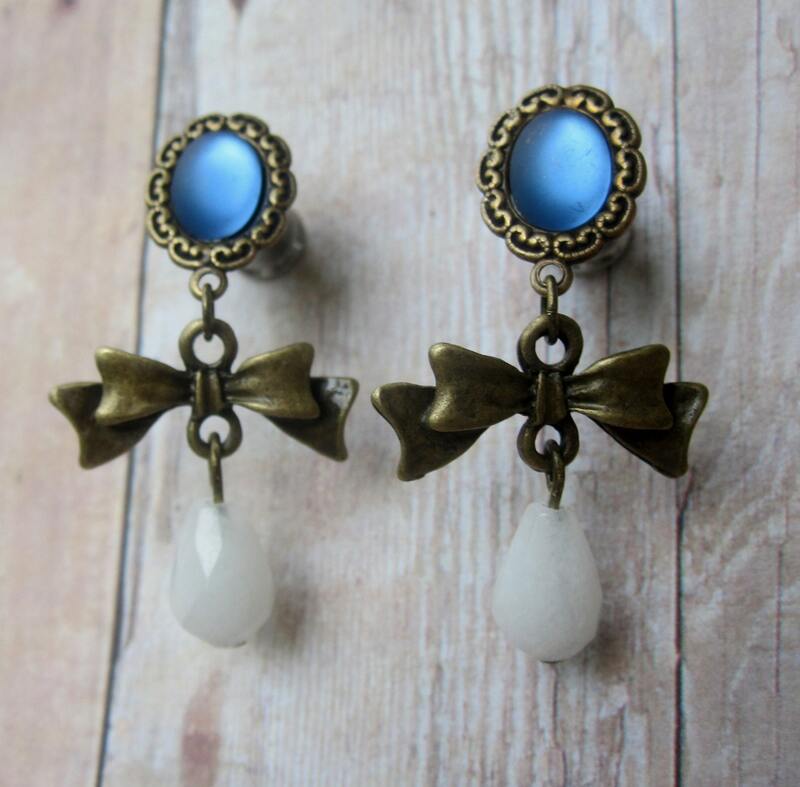 If you have stretched ears like me, you know it is difficult to find "girly" plugs with style. This one of a kind pair of handmade plugs is the perfect addition to your jewelry collection! 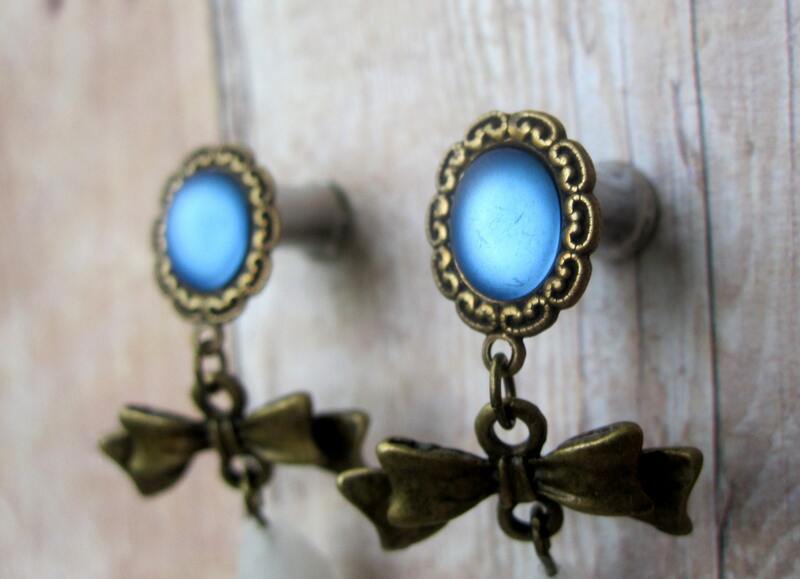 •These one of a kind plugs have brass charms with vintage blue glass moonstones on top of surgical steel tunnels. 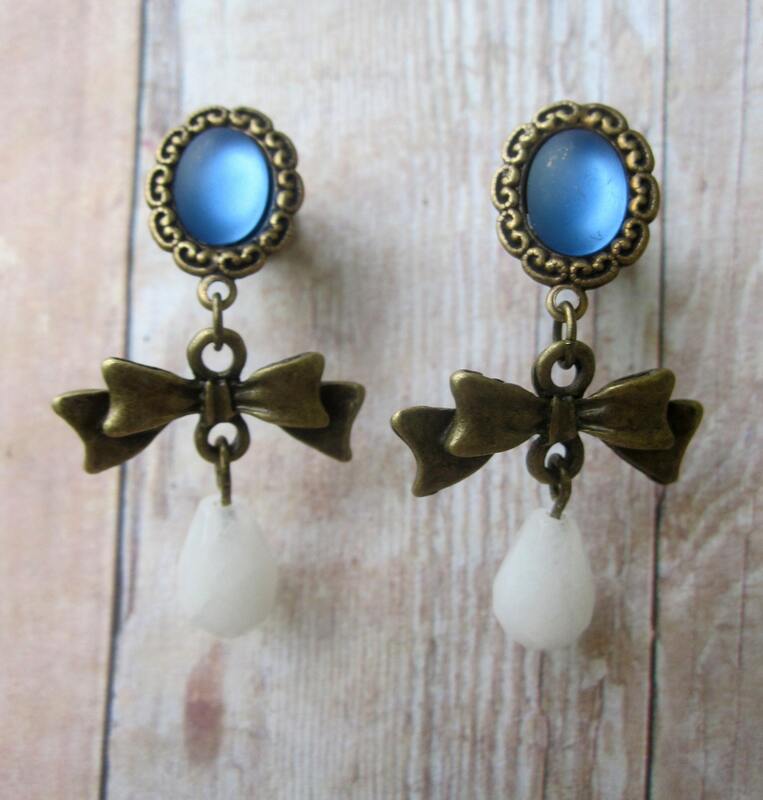 Hanging below are antique brass bow charms and natural snow quartz beads. These plugs have never been worn, but do include some vintage pieces. 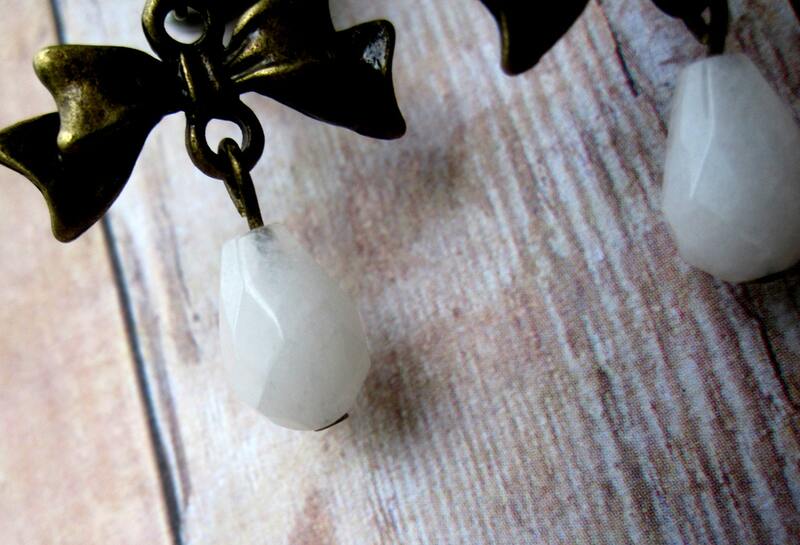 •Snow quartz is said to bring good fortune. It is helpful for meditation because it is soothing and calming. •Handle with care, especially during travel- they are strong but not unbreakable! I do not recommend having them in or near water or strong heat.